More world-record fish — 11 in all — were caught in 2015 on Rapala® lures than on any other brand of baits, the International Game Fish Association announced recently. Storm baits yielded four IGFA world-record catches and a Williamson lure accounted for one as well. Six IGFA world-record fish were caught on Sufix line and a whopping 40 world-record fish were weighed on Rapala scales. Storm®, Williamson® and Sufix® are among the many respected names in the Rapala family of brands. Rapala lures are responsible for more IGFA world records than any other lure brand in history, holding world-record catches on every continent except Antarctica. Rapala is the first and only lure manufacturer to receive an IGFA Lifetime Achievement Award. Rapala was unofficially founded in 1936 when Lauri Rapala invented the first Rapala fishing lure. 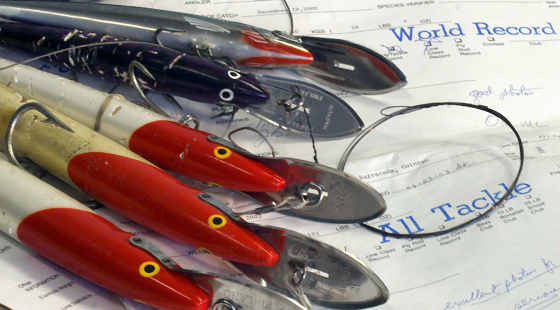 Rapala has grown from humble beginnings to a market leader in the fishing tackle industry. The Rapala brand’s functionality and high quality are known by fishermen around the world. Rapala maintains its strict standards of craftsmanship while delivering its fishing products to anglers in more than 130 countries. For more information, visit the website at rapala.com or the Facebook page at facebook.com/RapalaUSA. The IGFA is a not-for-profit organization committed to the conservation of game fish and the promotion of responsible, ethical angling practices through science, education, rule making and record keeping.